Squad pack of German Infantry from World War Two. 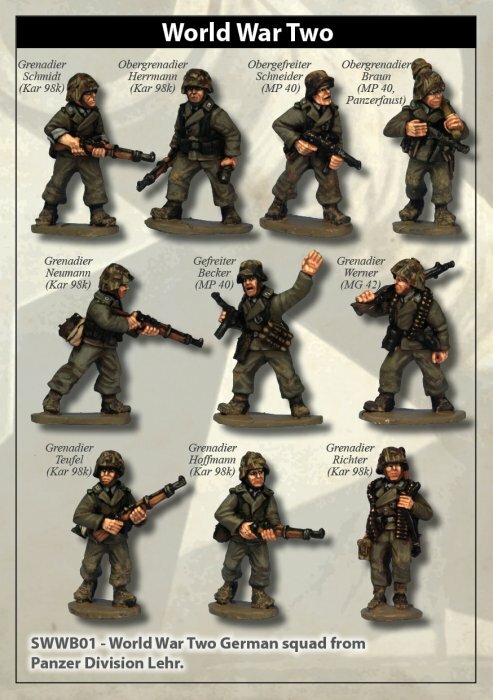 This set represents a unit from the Panzer Lehr Division, a late war formation made up from instructors from the Panzer schools. Being veterans and experts, this Division was classed as an elite formation and was supplied with all the best equipment. The Panzer Grenadiers were dressed in short Panzer Crew jackets rather than the normal infantry tunic.